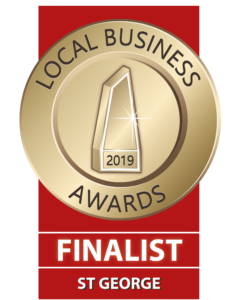 After Winning the 2018 St George Local Business Awards in the category of Fitness Services Bring it on Sports are pleased to announce that, for the second consecutive year, we have been named FINALISTS in the 2019 St George Local Business Awards. The local business awards acknowledge outstanding local businesses and their people who go above and beyond – providing an exceptional customer service experience. The winners are announced at the Local Business Awards Gala Presentation Evening on the 8th May 2019. The management and staff at Bring in on Sports are humbled by this honour and we would like to thank everyone that supported us – it is greatly appreciated!